Exhibition on View in D.C. 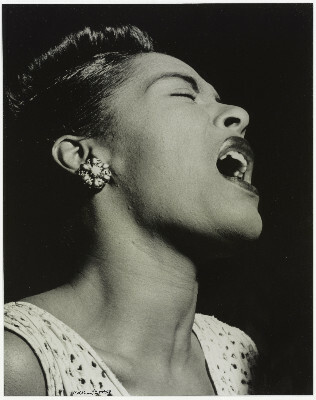 Portrait of Billie Holiday, Downbeat, New York, N.Y., ca. Feb. 1947. Photo by William P. Gottlieb. Music Division, Library of Congress. 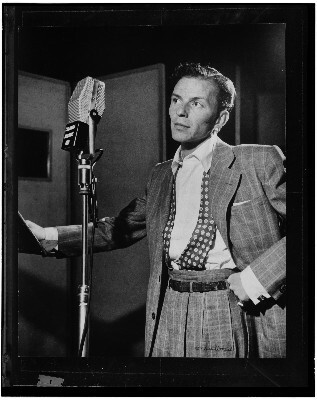 Portrait of Frank Sinatra, Liederkrantz Hall, New York, N.Y., ca. 1947. Photo by William P. Gottlieb. 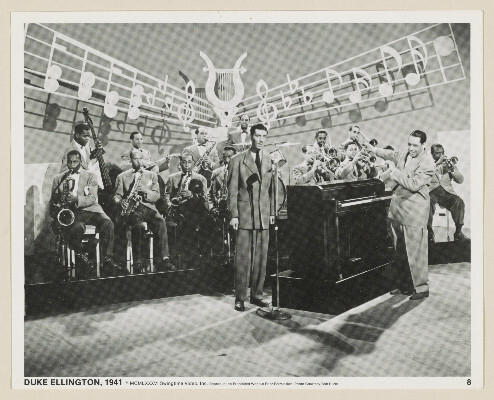 William P. Gottlieb Collection, Music Division, Library of Congress. 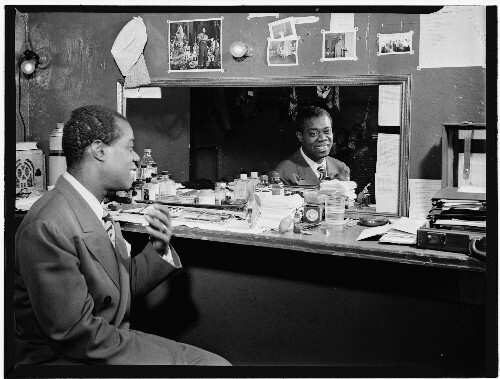 An exhibition opening next month at the Library of Congress will offer perspectives on the art of vocal jazz, featuring singers and song stylists from the 1920s to the present. "Jazz Singers" will open on Thursday, Feb. 11, in the Performing Arts Reading Room Foyer on the first level of the Library’s James Madison Memorial Building, 101 Independence Ave. S.E., Washington, D.C. The exhibition is free and open to the public from 8:30 a.m. to 5 p.m., Monday through Saturday. It closes on July 23, 2016. Rare video clips, photographic portraits, candid snapshots, musical scores, personal notes, correspondence, drawings and watercolors will reveal the sometimes exuberant, sometimes painful, but always vibrant art and life of jazz singers. 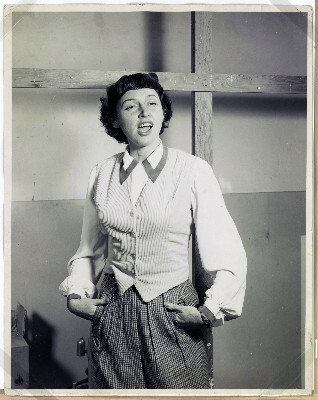 The materials are drawn mainly from the Library of Congress Music Division’s collections, including the photographs of William P. Gottlieb and the papers of Max Roach, Chet Baker and Shirley Horn. Additional items are from the Library’s Prints and Photographs Division, Motion Picture, Broadcasting and Recorded Sound Division and American Folklife Center. Jazz singers interpret a wide range of material, including torch songs, novelty and dance tunes and standards borrowed from film, Broadway shows, Tin Pan Alley, the blues and other genres. They might reinvent or transform them by using idiomatic approaches to times and syncopation. In the last few decades, more and more jazz singers are writing original material. 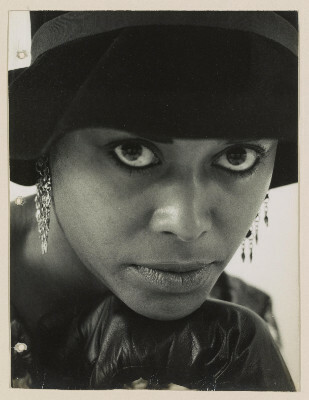 Exhibition highlights include a letter from Jelly Roll Morton to Alan Lomax; a Chet Baker suicide note; a rarely seen Romare Bearden sketch; a handwritten letter from Mary Lou Williams to Carmen McRae suggesting songs she might like to record; a holograph score by Gil Evans written for Helen Merrill; and film and television clips with Billie Holiday, Sarah Vaughan, Fats Waller, Ella Fitzgerald, Jimmy Rushing, Luciana Souza and others. The curator of the exhibition is Larry Appelbaum, senior music reference specialist in the Music Division at the Library of Congress and the exhibition director is Betsy Nahum-Miller, a senior exhibit director in the Library’s Interpretive Programs Office. An online version of the exhibition will be available on the opening date at loc.gov/exhibits. The Library of Congress Music Division, with more than 21 million items, holds the world's largest music collection. Particular areas of strength include opera (scores and librettos), stage and screen musicals, chamber music, jazz and American popular song. The division is home to approximately 600 archival collections, most of them the personal papers (including music scores as well as correspondence, photographs, legal and financial documents, programs, clippings and other materials) documenting the lives and careers of stellar composers and performers. For more information, visit loc.gov/rr/perform/. The Library of Congress, the nation’s first-established federal cultural institution and the largest library in the world, holds more than 160 million items in various languages, disciplines and formats. The Library serves the U.S. Congress and the nation both on-site in its reading rooms on Capitol Hill and through its award-winning website at loc.gov.